The prevention of strangles relies mainly on the cleanliness and hygiene of your own equestrian centre, livery yard or riding school. And, your own ability to stay informed about local risks and any outbreaks that have ocurred within your locality. Beyond local knowledge it is essential that, as with worming, you are aware of the horses that are coming and going on your yard. 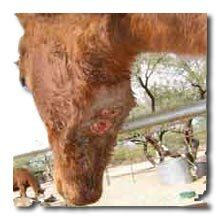 The detection of strangles and of horses carrying the strangles bacteria is an expensive business best left to your local equine vet. But the least you should do is inspect all visiting horses passports to ensure you do not expose your own horses to a potential carrier. It is advisable to follow good stable management procedures. Ideally these should include keeping horses new to the yard in quarantine for up to three weeks where they should be closely monitored and swabbed for signs of disease. It is also sensible to ensure that your yard doesn’t become overcrowded and to avoid contact with horses of unknown origin. In addition, your vet may recommend a strangles yard vaccination policy. The unique strangles vaccine can be used in horses from just four months of age and is administered through an innovative injection into the upper lip of the horse, which horses often accept more readily than traditional vaccinations. Two injections of the strangles vaccine should be given at a four week interval. The vaccine has a three-month duration of immunity after the second injection and horses in high-risk situations should be re-vaccinated with a single dose four times a year. An option for horses in medium risk situations is to re-vaccinate every six months but administer a single dose booster vaccination immediately if an outbreak occurs and it has been more than three months since the last vaccination. This will help protect the vaccinated horses or greatly reduce the severity of the disease. There is generally no need to vaccinate horses in low-risk situations. The vaccine reduces the clinical signs of strangles and the occurrence of lymph node abscesses in horses that are at risk of Streptococcus equi infection such as competition horses, horses in livery yards, horses at the sales and horses in an outbreak area. In general, the more a horse is in contact with other horses the greater its risk of contracting strangles. Horses kept in premises where strangles has been diagnosed in the past. Horses kept in groups, where new horses of unknown origin are added regularly. Horses kept in an endemic area (an area where strangles outbreaks are known to occur). Horses in stables with other horses. There is no regular introduction of other horses. 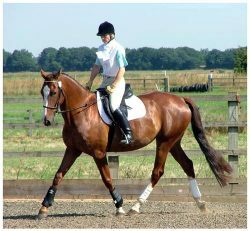 Horses that frequently travel to shows, riding club events or competitions. This classification will apply to a horse with very little or no contact with other horses. Is it worth only vaccinating some of the horses on the yard? No; It is advised that all horses on a yard be vaccinated against strangles to create herd immunity and prevent non-vaccinated horses being reservoirs for disease. Although, individual horses will still benefit from the vaccination as their immunity will be higher than any unvaccinated horses. What should I do if I suspect a horse has strangles? If you suspect that a horse has strangles, contact your vet immediately. Once the first case of strangles on a yard has been diagnosed, all other horses will be at risk. The affected horse will need to be isolated and the yard may need to be shut down for several weeks. What should I do once strangles has been diagnosed? Once the first case of strangles has been diagnosed on a yard, all other horses will be at risk. It is important that the affected horse is isolated and that the yard is closed to all other horses. Tack and stable equipment will need to be disinfected and disinfection procedures should be adopted, that are similar to the procedures used during the foot and mouth outbreak of a few years ago. The information and horse health advice provided by localriding.com is no substitute for advice sought from a qualified veterinarian.